Will it rebound OR future retrace down? We will know the answer on coming quarter result, which will be announce before 2011. 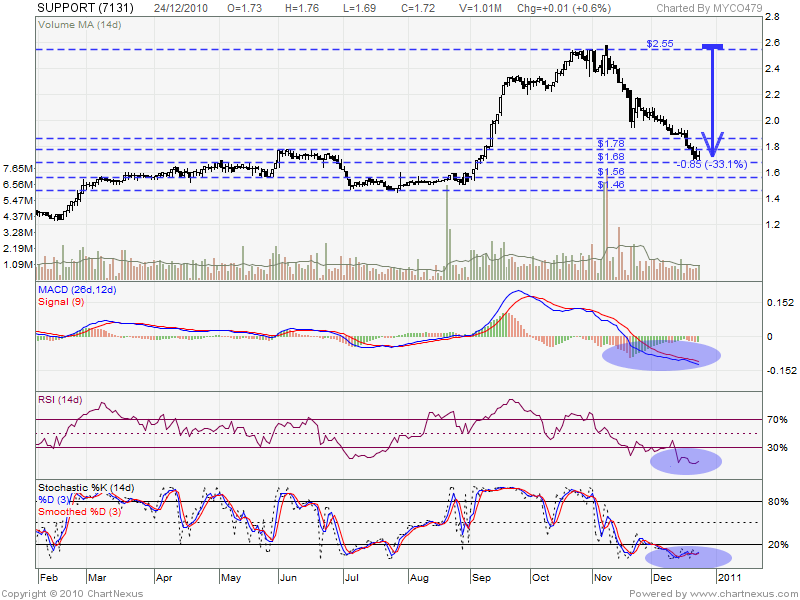 If above expectation, defenitely it will rebound back, may look for RM1.78, RM1.95 resistant level. 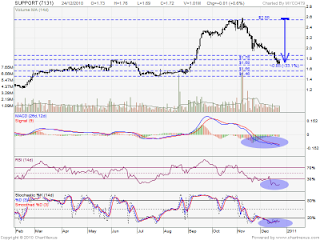 If below expectation, it might future retrace down, may look for RM1.56, RM1.46 support level.